Abou Tarek was founded in the 1950's and is popular among tourists and locals alike. 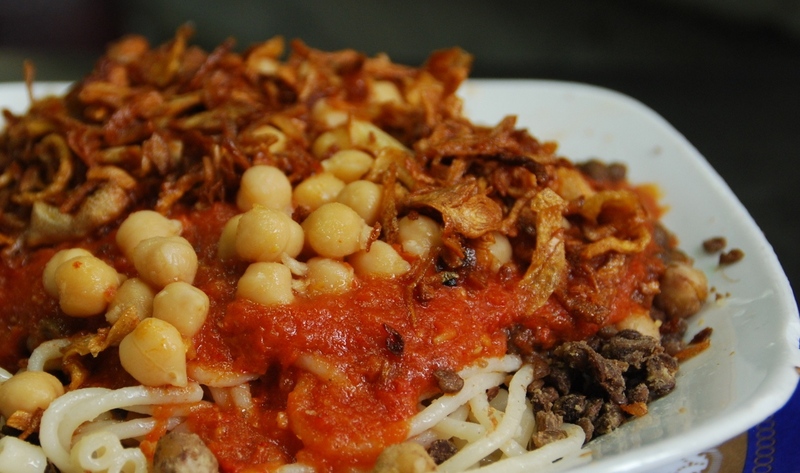 They serve the traditional Egyptian street food called koshary. The noodles and rice are always perfectly cooked and chunky tomato sauce and crispy onions top the dishes. 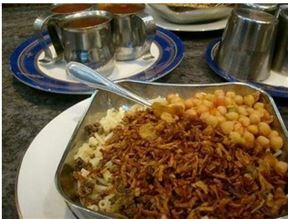 A bustling atmosphere and good plain authentic food makes for a satisfying and convenient experience. Abou Tarek is 0.7km from the centre of Cairo , the nearest airport 2895.5km (Lokichoggio Airport).